Airtel Payments Bank to begin banking points at 10,000 retail outlets to accept digital payments from Airtel Bank. Airtel Payment Banks would enable cashless purchase of goods and services via mobile phones thus promoting digital payments. 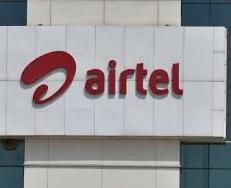 Bharti Airtel is planning to increase the banks to 1,00,000 by the end of the year to boost digital payments in the country. The consumers in Rajasthan would be able to open banks in Airtel Retail outlets and the payments bank will provide e-KYC via Aadhar. The consumers will be provided cash deposit and cash withdrawal and the Payment Bank would charge 7.25% on Savings bank account. Customers can check the account balance information through Airtel money app from their smartphones.